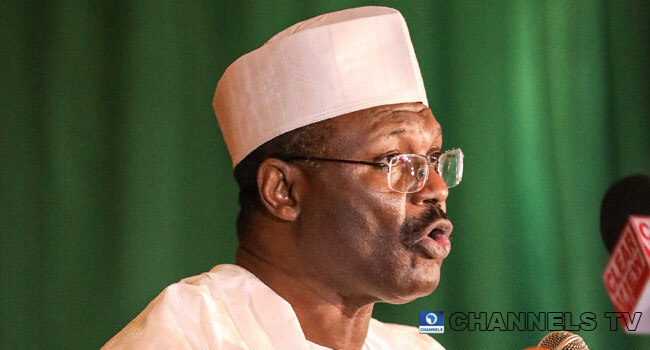 INEC Chairman Professor Mahmood Yakubu briefs the media in Abuja on Friday, February 22, 2019. Photo: Channels TV/Sodiq Adelakun. Mr Festus Okoye who is INEC’ National Commissioner, Information and Voter Education, made the call on Monday during his appearance on Sunrise daily, a breakfast programme on Channels Television. Mr Okoye also called for the support of various stakeholders in the election, especially the political parties to ensure the process go smoothly. “We want to conduct a supplementary election that Nigerian people will be proud of; we want to also conduct a supplementary election that meets the expectations of all the critical stakeholders in the electoral process,” the national commission said. The supplementary election will take place on March 23 in Adamawa, Benue, Kano, and other states where the governorship poll was declared inconclusive.